University Presbyterian Church, Seattle, has posted audio of Phil’s talks on 1 Corinthians 11:2-16, 1 Timothy 2:11-12, 1 Timothy 2:13-3:13, and God’s Word to All at http://www.upc.org/worship/AudioVideo.aspx. Phil’s talk on “Galatians 3:28’s Context & Wording Require Practical, Not Just Spiritual Application in the Church” is at http://upc.sermon.net/mca/main/main/20227645 (click on “Media Menu” then click on “Play Audio”) and Phil’s talk on “Examining So-Called ‘Biblical’ Reasons for Excluding Women from Leadership” is at http://upc.sermon.net/mca/main/main/20257899 (click on “Media Menu” then click on “Play Audio”). 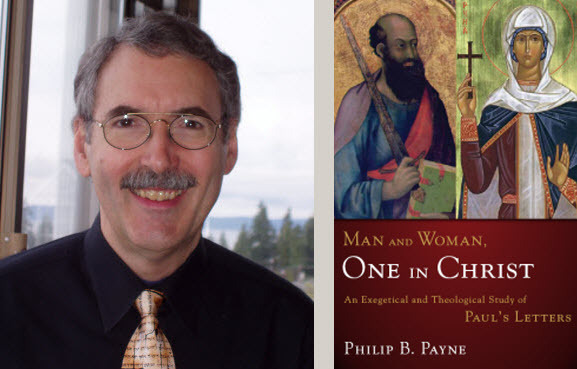 Phil will be speaking on “The Equal Standing of Husband and Wife in Marriage: 1 Corinthians 7 and Ephesians 5 on January 25 and February 1, 2015 at 10:00 AM in Calvin Lounge, University Presbyterian Church, Seattle. Hope to see you there! I’ve been looking a lot at this subject recently and I’ve just listened to the audio link, I found it very informative and well presented. I Wanted to say thank you so much for all your hard work in getting this message out there. I had already myself discovered a number of things including the fact that there are no masculine pronouns in the qualifications for overseers by looking through my e-sword bible software.